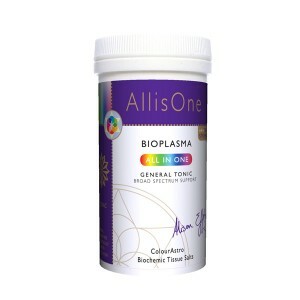 A blend of the 12 tissue salts in equal proportions, Bioplasma assists in the promotion of well-being. Use it daily as a supportive base together with selected individual tissue salts, as a general maintenance tonic, or when traveling. Whilst Bioplasma is very valuable as a combination, it cannot correct any particular tissue salt deficiency on its own because the proportions of each of the twelve salts contained within it are equal. This is a bit like having 12 different cellular bank accounts and depositing small equal values into each, when the exchange rates and interest rates differ, and certain particular accounts deplete more according to our spending patterns. We need to deposit more into the ones in overdraft than the ones that are flush, but like investing in a bank account, it’s not a problem to make small deposits into each one to keep all of the accounts healthy… we just need to ensure we take special care of the ones that get used more! For those who are fit and flourishing, a wonderful way to use the salts for general health maintenance is to use the Bioplasma daily, together with the particular one corresponding to the Moon Sign of the day. This is similar to the idea of Moon Gardening, and aligns your body with natural cycles of growth, rest and cleansing. Refer to our Moon Sign Calendar and select the day for more information about the specific salt to use.